Are you on the hunt for an eco-friendly, sustainable and ethical pair of sunglasses? Maybe another pair of Ray Ban's, Oakley's, Guccis sunglasses? It’s easier than you might think. Many times, the materials used to produce sunglasses leave a huge environmental footprint. However, there are manufacturers that are beginning to lean toward creating attractive, environmentally friendly green styles. Before you shop for your next pair of sunglasses, look over the styles and brands on this list. All are eco-friendly, and many companies listed below are known for giving back to the global community. Each of the brands on this list are dedicated to sustainability – plus, you’ll look good wearing them! Knockaround is a family owned business that’s been around since 2005. During that time, they’ve featured recyclable, eco-friendly limited edition and collaboration pairs of Knockaround sunglasses including Discovery Chanel's Shark Week, San Diego Padres and Pacifico Beer. In addition to these limited editions, Knockaround gives back through the Class Acts sunglass collection. Each year, Knockaround selects young artists to design a few of their shades. 100 Percent of all the proceeds from this collection will be donated to ArtReach. ArtReach helps provide educational resources to local elementary schools. We added the Knockaround review simple because we not only love the style, selection and price of the shades but for their support of giving back to the local community. These recyclable eyewear set are crafted from polycarbonate, one of the most environmentally conscious plastics. The frames are available in one size only, but you may choose from non-polarized to polarized lenses. Customers who have shopped for these glasses and with the Knockaround family have raved about the customer service. First on the list of eco-friendly, sustainable sunglasses is our Coastal review. The Love Bridgitte is a cool retro style that is available in both prescription and non-prescription strengths. Choose from three color styles: black tortoise, tortoise pink and tortoise blue. Then, select your lenses to complete your look. Coastal is known for quality lenses, and this particular pair comes with your choice of original lenses, outdoor lenses or transitionals. What’s more enticing is that the frames are crated from acetate. Acetate is a compound created from wood and cotton fibers, meaning the Love Bridgitte is one of the most eco-friendly sunglasses on the market. For every pair of glasses purchased from Coastal, the company will donate a pair to someone who wouldn’t otherwise have access to perfect vision. The company’s mission to give back is just another reason we love the Bridgitte style. 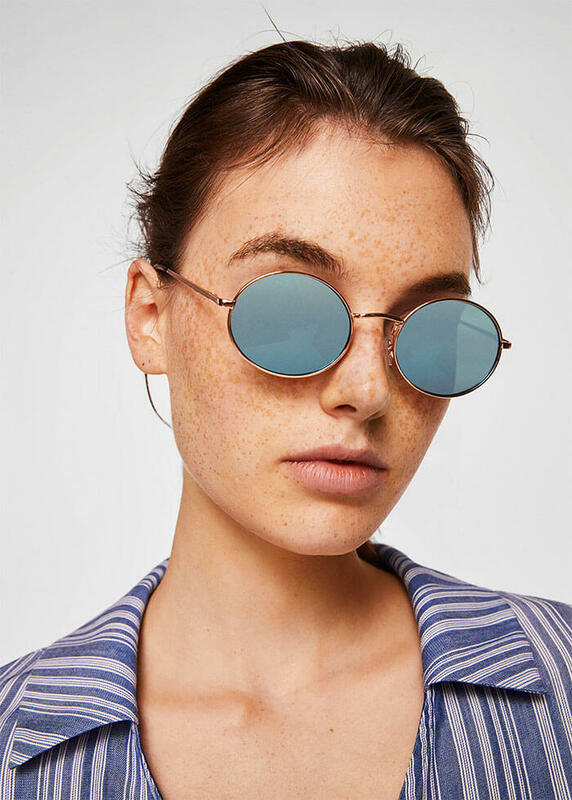 If retro sunglasses appealed to your inner 80’s fan, you’ll love these round sunglasses by Mango. Perfect for men or women, these unisex frames are crafted from copper, and offer an eco-friendly polycarbonate lens. Gradient lenses make the Mango Retro Style sunglasses ideal for driving or spending time outdoors. We do love the retro style eyewear set in the Mango catalog, but there’s another reason we chose to include this Mango review. The company publishes full disclosures of its sustainability practices, its environmental impact and projects Mango has partnered in. Before you buy, be sure to check out what the company’s doing to reduce its environmental impact. Our Warby Parker review doesn’t focus on just one frame, but a collection. The Haskell collection, available in various styles, includes something for everyone. For instance, you’ll love the feminine lines of the Ruby, or the subtle accents of the Aloe Crystal. Each pair of the Warby Parker Haskell sunglasses were designed to promote diversity and solidarity. A portion of the proceeds from each pair within the Haskell collection will go towards The Trevor Project and Lambda Legal. Both of these organizations strive to advocate equality within our local communities. In addition, Warby Parker is known for its initiative to give back to the global community. For every pair of glasses purchased from the company, a pair will be donated to a person in need. Adults and children who wouldn’t otherwise have access to prescription lenses will be granted a pair at no cost, thanks to your purchase. Next on our list of the top eco-friendly sunglasses is our OpenSky review. OpenSky is headquartered in Bucharest, but has offices all around the United States. The company’s mission is to partner with small-scale entrepreneurs to offer business opportunities to small and family owned businesses. The Horned Rim sunglasses in the OpenSky catalogue are totally eco-friendly. Made with earth-friendly polycarbonate lenses and genuine bamboo temples, this is most definitely a pair of sunglasses you can feel good about wearing. Lenses are rated UV400 protected, and are perfect for a day out on the lake or even on the slopes. We absolutely adore these Tree Tribe aviator glasses. They’re super lightweight and boast stainless steel hinges which extend to fit all face shapes. Even better is that Tree Tribe gives back to the planet. Each of their products are made with a conscious effort to use sustainable, eco-friendly and recyclable green materials. As we were researching for this Tree Tribe review, we were pleased to discover that, for every purchase, Tree Tribe will plant ten new trees. In addition the radiant color of the polarized lens reminds us of other great brands such as Oakley sunglasses. We’ve chosen to include a Vilebriquin review, not of one set of frames but of the catalog itself. Vilebriquin is a European company with headquarters in France which was founded in 1971. Throughout the catalog, you’ll find tons of styles which are eco-friendly, sustainable and hand crafted. Browsing the Vilebrequin website, you’ll find a wide selection of frames and lenses to suit every style. Polarized sunglasses including aviators, vintage shapes, pistons and pointers are all available in many materials. There are wire rimmed glasses, classic acetate frames and more in the Vilebriquin collection. These unique Cara Round sunglasses from Woodzee are made from none other than sustainable, earth-friendly bamboo! The glasses are lightweight and breathe nicely, meaning you can even wear the frames on the hottest of summer days. Resin lenses are eco-friendly, too, and the glasses boast durable stainless steel, sprig loaded hinges for the perfect fit. This isn’t our first Woodzee review here on Citrus Sleep. In fact, we’ve featured the company numerous times, as we love their commitment to using quality materials which have a minimal impact on the environment. Woodzee also offers a recycling program: send in your old Woodzee sunglasses and receive a discount on a future purchase. Take a look at these mavericks from Ocean. You’ll be surprised to find a new take on the classic style. We chose Ocean Mavericks for our Bikini review because they’re so unexpected. The looks are in trend and similar to some of the other major brands such as Ray Ban or Gucci sunglasses. A frosted pink frame contrasts with polarized lenses. Available in one size, the glasses are made from lightweight plastics which frame your face for perfect style whether you’re out running errands or hitting the beach. Bikini offers many more recyclable and environmentally green conscious products in its collection. Choose from eyewear crafted from recycled materials, or swimwear made from sustainable fabrics. These Ocean mavericks are just one of many styles you’ll feel good about buying from Bikini. Australian company Billabong is one of the most well-loved brands in beachwear. 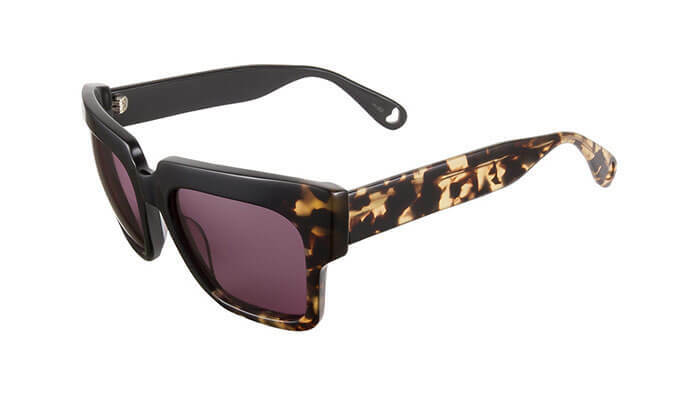 So, of course, we’ve included this Billabong Vonzipper Farva Sunglasses review. These aviator-style sunglasses are, first and foremost, functional. Polycarbonate lenses offer 100% UV protection, shielding your eyes whether you’re on the beach or just commuting to work. Stainless steel frames are sustainable, recyclable and durable. Your Billabong glasses will last a lifetime, but can be recycled should you choose to switch up your style. Since company launch, Billabong has partnered with charitable organizations and created its own initiatives to give back to the community. For instance, 100% of ticket sales for Billabong’s Design for Humanity goes to benefit a selected non-profit each year. We know you want to buy your shades from a company you can feel good about. That’s why we’ve chosen to include a United by Blue review in this list of the top sustainable and eco-friendly sunglasses. United by Blue is a Certified B-Corp company, a supportive member of business that strive to promote economic and social environment awareness. Whether the company is giving back through donations or just by gifts to the local children’s hospitals, every purchase you make does good for the community. These Sunski sunglasses from United by Blue are a great pick. They have the same looks as some of other brands such as Ray Ban or Gucci sunglasses. The browline shape is thick and offers a striking accessory to match just about any outfit. Choose from four different colors and enjoy UV protection and polarization in retro, classic style. It’s likely you’re no stranger to Columbia. In fact, this isn’t the first Columbia review we’ve written on Citrus Sleep. There’s a lot to love about the company, including the commitment to give back to the global community. Columbia has historically participated in efforts to support organizations with both socially and environmentally conscious causes. The Women’s Horizon Pine sunglasses are just one of the eco-friendly styles available in the Columbia catalog. The style reminds us of some other brands such as Gucci sunglasses. A simple frame, available in two colors, houses lightweight, polycarbonate lenses. In short, this is a classic style, and whether you choose the black or brown frame you’re going to love your look. If you’re looking for a pair of sassy sunglasses that are truly eco-friendly, look no further than this Ray Ban like square silhouette style from Stio. These scratch-resistant lenses offer 100% UVA and UVB protection, keeping your eyes safe from the sun’s harmful rays. The sleek frames are designed in the USA in Wyoming, and are constructed of eco-friendly acetate. The lenses are made from CR39 resin, which is recyclable. 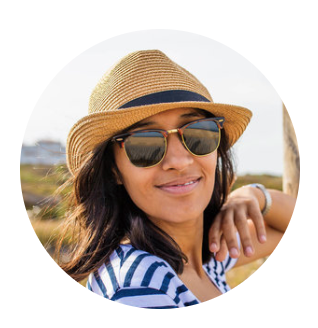 We love the simple style of these eco-friendly sunglasses, but we’ve also included this Stio review because we just love the mission of the company. Stio partners with manufacturers all over the world and many of them are BlueSign approved, which mean these products contain high natural fibers and high levels of recycled content. This particular pair, sold by Vira Sun, certainly is one of the most unique styles we’ve come across. We think you’ll love the Vira Sun Full Wheel sunglasses just as much as we do. Sustainable Bubinga wood, native to Africa, is used to craft the arms of these adorable sunglasses. The frame front and lenses are made from polycarbonate, an eco-friendly and super durable material. Each pair of Vira Sun Full Wheel glasses is hand crafted, and because of the natural materials, every pair looks just a bit different. One pair of polarized sunglasses fits all. Our Vira Sun review wouldn’t be comprehensive without mentioning all the good the company’s up to. Vira Sun is a family-owned business that seeks to source products that are sustainably made in the USA. Vira Sun also supports women and men who share their knowledge for fitness through their teacher appreciation program. No matter how you spend time in the sun, you want to look good doing it. Whether you’re skiing, surfing or just driving to the grocery store, the eco-friendly sunglasses on this list offer options that will look great. Even better, of course, is that each of the styles are sustainable, fair trade, recyclable or made in the USA. In short, they’re styles you’ll feel good about buying. Karen A Mulvey is a personal social blogger and mom with 14 years of experience in the every day world of motherhood and sustainable product research. Karen is on a mission to help everyday families select sustainable, non-toxic organic products, stop stressing about uncertainties on sustainable home goods and apparel, and start living the life they’ve always wanted.